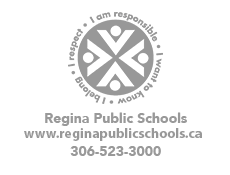 Regina Public Schools strives to provide students and families with an accurate and current list of available community resources. These organizations are not affiliated directly with Regina Public Schools and are meant to be used in the interim until you are able to talk with a guidance counsellor. Regina Public Schools assumes no responsibility for the operation of these outside agencies. Regina Public Schools wants all students to have a plan for post-graduation. We recognize that a lot of time and effort is needed to create a plan which is why Regina Public Schools is working to create a comprehensive support plan for students to receive support from their advisory teacher, guidance counsellor, Indigenous Advocate, parents, and classroom teachers. Regardless of what direction students want to go after graduation, if there are questions about applying for post-secondary, what options are available, or where to find scholarships, we hope that this document serves as a starting point. Students create an account unique to their email address. You will need your Saskatchewan Ministry of Education ID number (available in PowerSchool or from your advisory teacher) and your birth date. Follow the login and signup instructions. If you need help with your account, talk to your advisory teacher or Student Services for assistance. Parents - Here is information on how you can create an account and follow along with your child’s progress. Volunteering is a great way to make a difference in your community, learn and explore your community, improve your resume, and determine future pathways.